Home>New Songs>DJ Premier Songs> DJ Premier Remixes Rudimental's "These Days"
DJ Premier's putting in that work. He's already fresh off of the release of his joint album with Royce Da 5'9", PRhyme 2 and the two are gearing up to currently on their mini tour to promote the album. Earlier this week, he dropped off his remix of J. Cole's "1985" for the "1966 remix." It was a fire remix that gave the Cole's K.O.D a new vibe. Now, DJ Premier comes through with his second remix of the week. 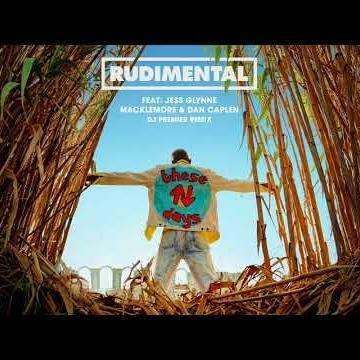 This time, he links up with Rudimental for the remix of "These Days." DJ Premier gives an old school flip to Rudimental's "These Days" featuring Macklemore, Jess Glynne and Dan Caplen. The remix has a 90's hip hop feel to it and definitely adds a different sound to it. Premier explained how the remix came about to TheFader and revealed that he and Rudimental's have worked on demos in the past but when he got the opportunity to remix "These Days," he got Rudimental's manager to send it over to him ASAP. SONGS DJ Premier Remixes Rudimental's "These Days"